Poeppel Corner, Australia. NASA Earth Observatory. Poeppel Corner (known as Poeppel's Corner in Queensland) at latitude 26° S and longitude 138° E is a corner of state boundaries in Australia, where the state of Queensland meets South Australia and the Northern Territory. As with the other three corners it is a destination for four-wheel-drive tourists. 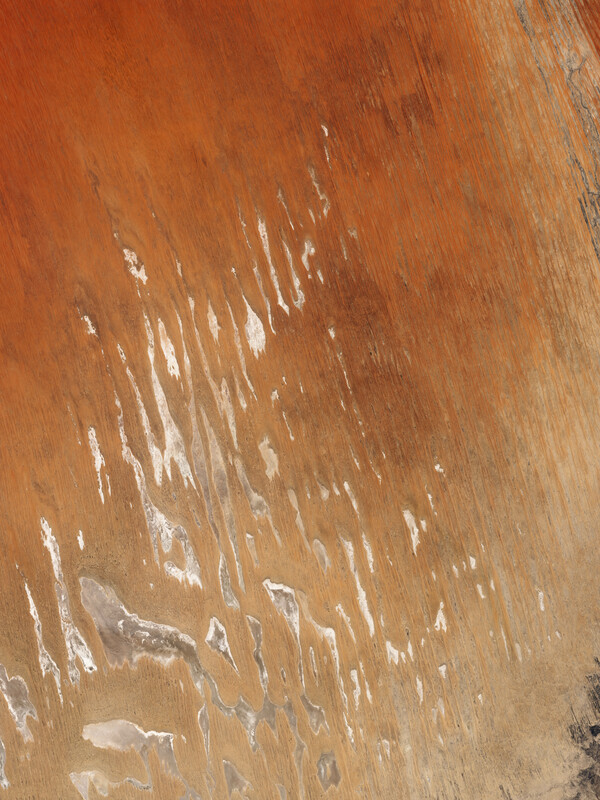 Poeppel Corner is about 174 km west of Birdsville, in the middle of the Simpson Desert. Augustus Poeppel, after whom the point is named, conducted a survey in the mid-1880s to find the exact location of the central Australian colonial borders. His team used camels to drag a coolibah post to mark the intersection. Originally the point was located in a salt lake, but it was found that the measuring chain used was a few centimetres too long. Another survey was conducted by Lawrence Wells, who relocated the post to its current position. New Year's Eve occurs three times each year at thirty minute intervals in Poeppel Corner (also in Cameron Corner and Surveyor Generals Corner), because it is at the intersection of three time zones. The Poeppel Corner Survey Marker is a heritage-listed site, having been added to the Queensland Heritage Register in 2012. ^ "The history of Poeppel Corner" (PDF). Newsletter of the Australian National Placenames Survey. Placenames Australia. Archived (PDF) from the original on 27 October 2015. Retrieved 22 October 2015. ^ a b Environmental Protection Agency (Queensland) (2002). Heritage Trails of the Queensland Outback. State of Queensland. p. 134. ISBN 0-7345-1040-3. ^ "Poeppel Corner (entry 602808)". Queensland Heritage Register. Queensland Heritage Council. Retrieved 7 July 2013. This page was last edited on 3 July 2018, at 08:50 (UTC).